Once upon a time...There was this li'l girl who dreamt of glitter. glitter. and only glitter. And when she'd be bored of glitter, she'd continue with Winged Eyeliner and Red Lips. And there she'd Paint her nails with glitter again, winging out her eyeliner, putting on her favourite shade of red and setting out to meet her guy. I waited a ver...y long time for this silly Jumbo Pencil. 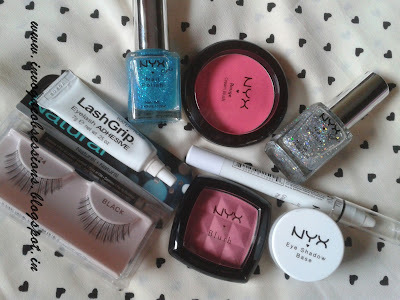 And NYX Glitter Nail Polish was like a distant dream. All that Glitters aren't Diamonds I told myself. 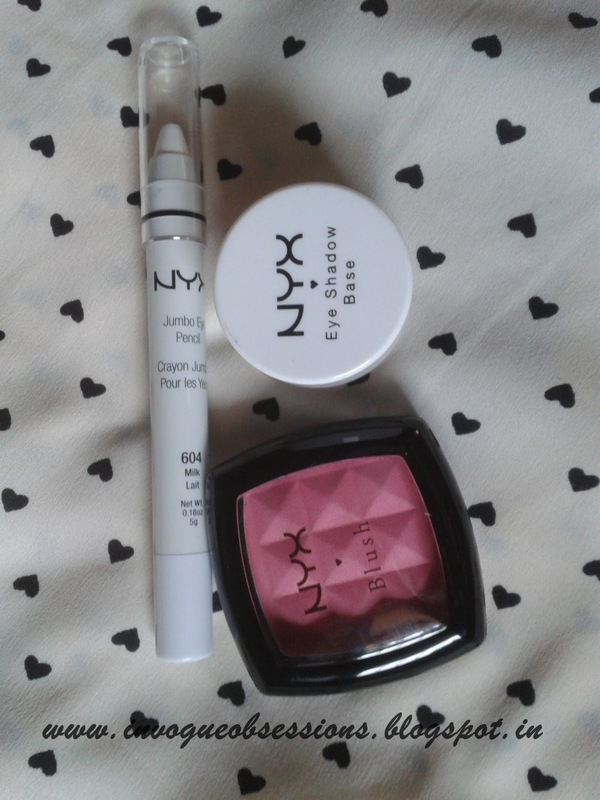 And Ardell Natural Lashes & Glue & NYX Hot Pink Cream Blush. Ahh. I paid NO CUSTOM DUTY. Thumbsup for Itsy-Bitsy Package. Moral of my fairytale: I hate Cherryculture! Very much!